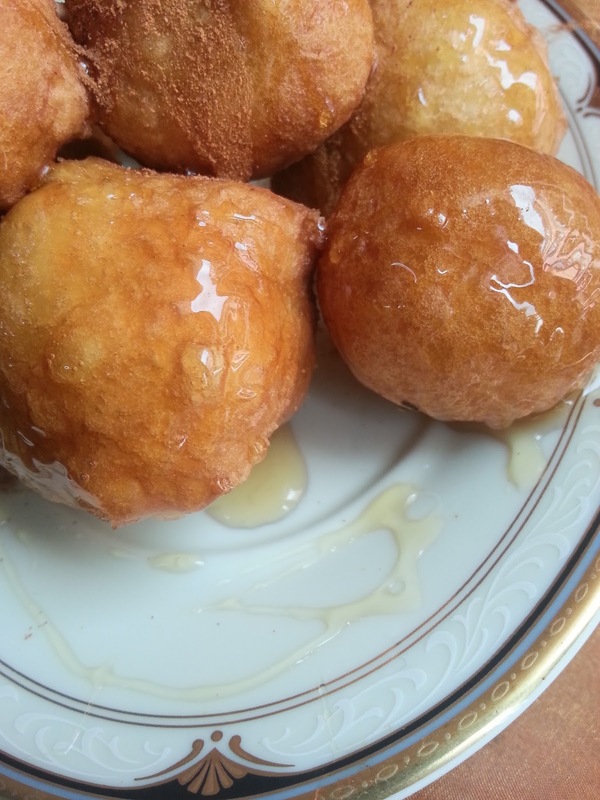 Remember my post about my traditional recipe for Zeppoles a.k.a Loukoumades. Well the other day I received a new tip from someone who has more experience than I in making loukoumades and of course I had to give it a try. Instead of using just water you, you can add yogurt. They come out soft and super delicious and if you have leftovers, and allow them to sit overnight they are still soft the next morning to enjoy them with your cup of coffee. KALE OREXI! 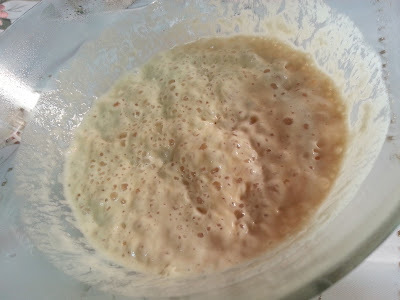 Add water and yeast mix until the yeast has dissolved. Then add flour and mix, next add your salt and your baking soda. Set it aside for an hour. Small bubbles should be forming immediately. TIP: If you could like you can add 1 teaspoon of honey it gives the loukoumades a rich golden color.